Our Cyber Security Operation Center Analysts are ready to start working on your website as soon as your request is received. Please agree terms of service. Your request has been received and our Security Operator will contact you shortly. Need more than just a one-time malware removal service? What’s stopping Malware from infiltrating your system again? Complete protection with cWatch Pro! 100% free. No credit card needed. No obligation. Why Web Inspector Online Virus, Malware and Url Scanner? Hackers can exploit vulnerabilities in a website's code and impregnate viruses and malware in the website's code. The virus infected software and malicious code can get distributed onto devices of website visitors. 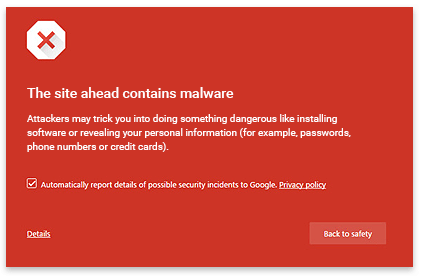 Utilizing advanced, cloud-based malware scanning technology Comodo Web Inspector scans the website for possible virus and malware infection, detects security holes and vulnerabilities, and safeguards the website against constant countless security threats. The Web Inspector also monitors for website blacklisting and immediately warns the website owner before the website gets blacklisted. How web malware scanner works? Zero-day attacks are prevented through heuristic detection techniques for detecting previously unknown malicious code. NO OBLIGATION, NO CREDIT CARD, NO QUESTIONS ASKED. YES! Start Manual Scan by the Experts NOW! Why Website Security Check is Important? Is this website safe? How to check website security? How to do a website security check online? Are there any free website security check tools available? You can easily eliminate such fears by making use of Web Inspector, a leading website security check software. Web Inspector easily detects whether a website you’d like to visit contains security vulnerabilities that will infect your system. The best part of Web Inspector is that they offer a basic website security check as a complimentary service with no obligation. Providing this free service is a needed resource with all of the counterfeit websites currently on the web. As people grow increasingly reliant on technology, accessibility to a company’s digital presence becomes more and more paramount. Faulty website security threatens that accessibility. Infecting a single website target can turn millions of unsuspecting visitors into victims! The first step in protection is running a website security check with a tool like Web Inspector to find any malware infections that are present. Then begin to implement proactive approach in security with a solution that will protect against viruses, hackers, and cyber threats altogether. With a doubt, website security tools have become instrumental for not only internet users, but website owners as well. Damages to websites from cyber-attacks can cost business owners thousands of dollars. Incidentally, the damage to the business owner’s reputation is as repairable and in many cases, never the same. So don’t let the cyber criminals ruin your peace of mind or your business. 3. Enjoy the rest of your day! Thanks to Web Inspector! Every time Web Inspector scans a website to ensure website security, it checks to make sure no known viruses and malware have been injected. This prevents hackers from distributing virus infected software to your customers and website visitors. The best web site is useless if it can't be reached. If your site is added to a "blacklist" search engines will stop crawling your site and may block it completely. This feature checks every major search engine and blacklisting service such as Google. You will be notified immediately if a problem is discovered. Time is money and Web Inspector understands this. If it detects any malware or vulnerabilities to your website, it shoots out immediate notifications to you via email to help you keep your website safe. All businesses that store, process, or transmit payment cardholder data, must be PCI compliant. Web Inspector is the only product that checks your website security and gives you a dedicated dashboard for vulnerability scanning and PCI compliance, a must-have feature to help you avoid any penalties or fines. Web Inspector is a simple and easy to use internet "Cloud Service" that allows you to do everything from your browser. This makes setup and maintenance a breeze! © 2019 Comodo Security Solutions, Inc. All rights reserved. Yes, it's free! We will remove malware instantly!